Hi to Miss Allard’s first grade class. We are so happy that you sent Flat Aggie to us. I really think he enjoyed his visit to our farm. 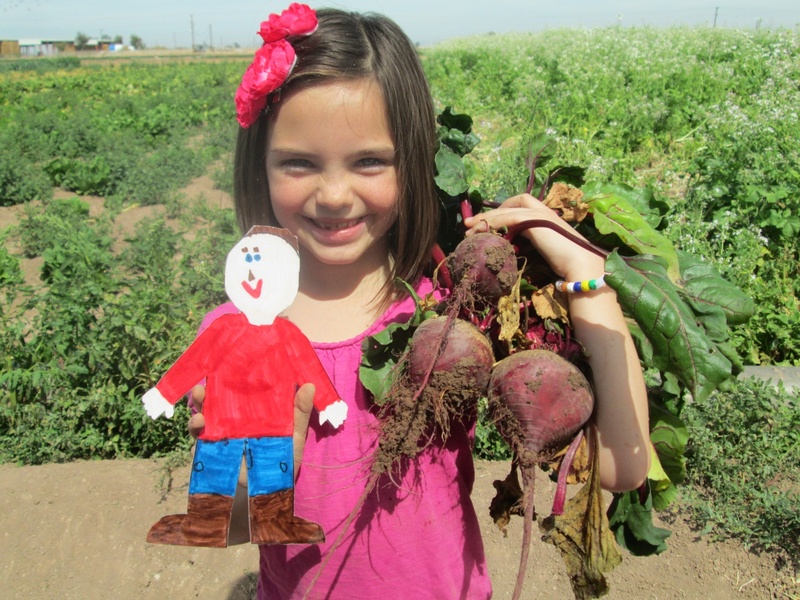 Flat Aggie visited the University of California FARM SMART Program. 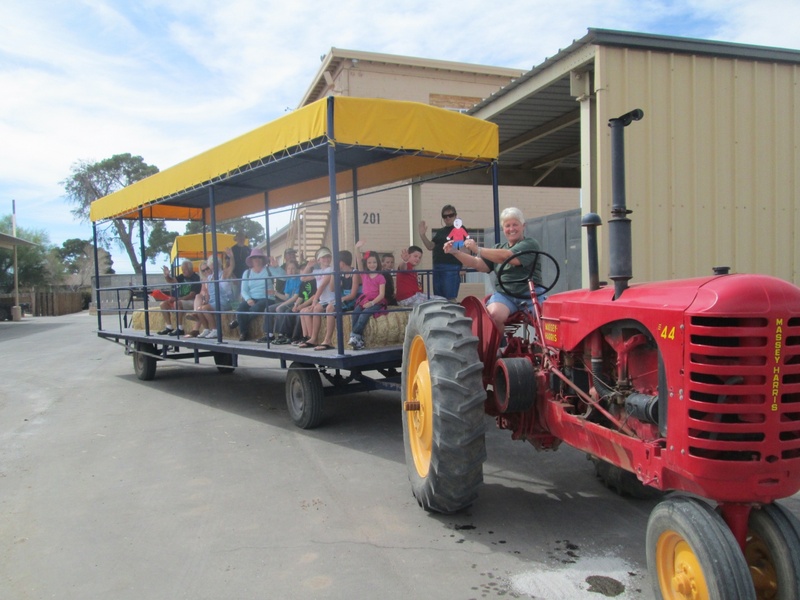 Almost every day we have students from Imperial Valley Schools visit this farm. It is a 255 acre research farm and we have special fields with vegetables just for students who visit our program. 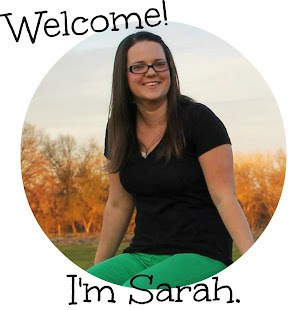 We see about 5000 students every year! Our farm is located only 10 miles from the Mexico border and it is a desert environment so we get very HOT in the summertime (sometimes over 120 degrees!). In the winter, the temperatures are very mild so our farmers can grow food and ship it around the world. Flat Aggie attended our program with another local school and would love to share his experiences with you. 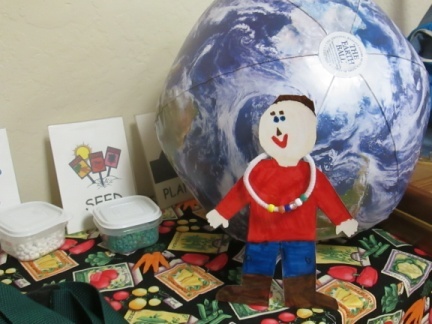 In the center picture, Flat Aggie has a necklace that has beads on it. Each bead represents a natural or renewable natural resource that help plants grow. So the yellow bead represents the sun, the blue bead is water, the brown bead is soil, the clear bead is air. The white bead is seed and the green bead is plants. Every student gets to make a bracelet so they can remember what makes plants grow. 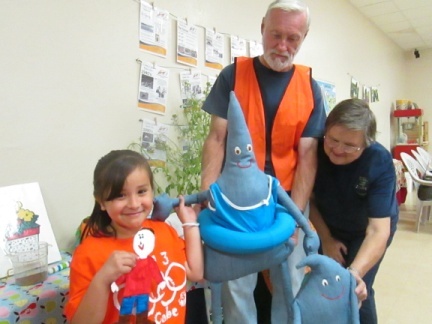 Because water is so important, the picture on the left shows Flat Aggie with our “Dudley Dewdrop”. He is a water droplet and wants everyone to be water savers. Students attending our program learn that everyone can be water savers just by taking short showers and turning off the water when they brush their teeth. They can save 10-15 gallons of water a day!!! 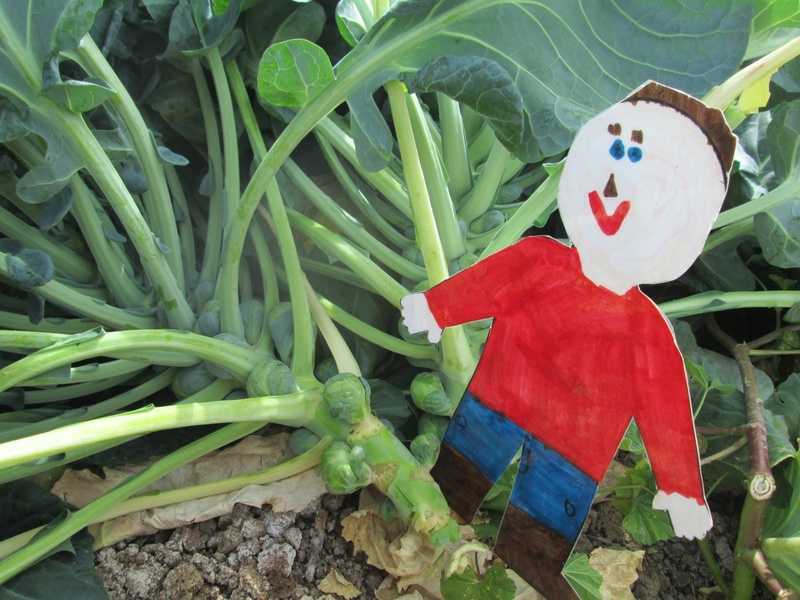 The picture on the right shows Flat Aggie with a student who is holding a bowl full of delicious salad. If you ever have a chance, read the book entitled “Stone Soup”. Instead of Stone Soup, we changed it to Stone Salad and we put cabbage, garbanzo beans, olives, ham, cheese and Chow Mein Noodles in the salad. Top it with some Ranch Dressing, shake it up and you have a perfect salad. Everything in the salad is soooooo good for you and you can find every ingredient (except the Ranch Dressing) on the Food Pyramid. I think Flat Aggie enjoyed the salad.! If you want to try a shaker salad, get a cup with a lid. Start by putting the dressing on the bottom of the cup, then put a layer of cabbage or lettuce, then add some cheese, olives, garbanzo beans, ham and chow mein noodles. Put the lid on it and when you are hungry, shake it up and enjoy a nice and fresh salad. 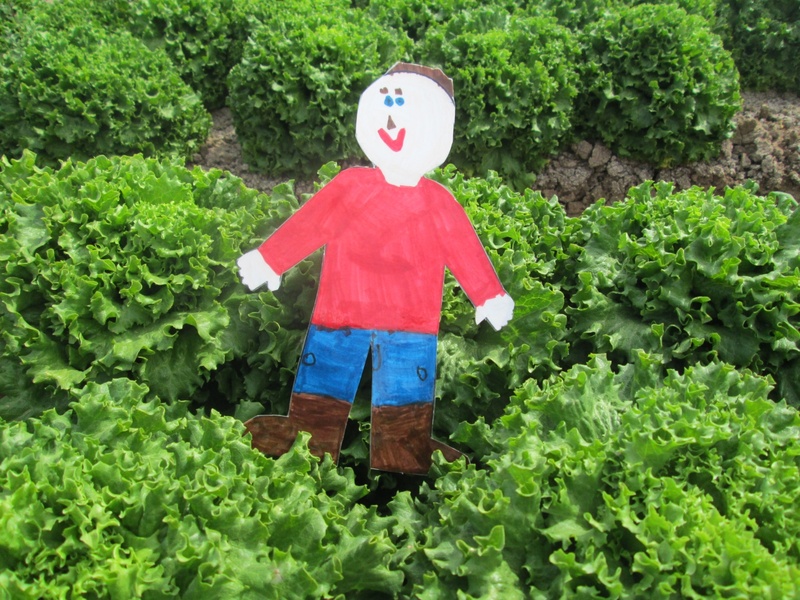 Flat Aggie is ready for our hayride! 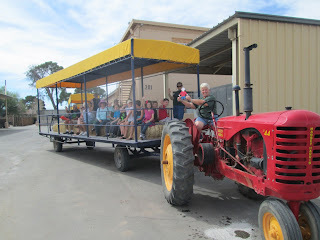 The students have learned how plants grow and now it is time to go to the field and pick produce. First stop is at a field of curly leaf lettuce. Sure will taste good in a salad. Look at those scrumptious brussel sprouts. Steamed with a little butter, salt and pepper and they will have a delicious flavor. 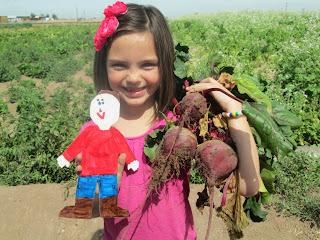 Flat Aggie enjoyed picking beets. The beet tops (leaves and stems) can be cooked like Spinach and the Beets (big red roots) can be steamed, sliced and topped with butter, salt and pepper or they can even be pickled. Everyone filled their bags with beets, radishes, lettuce and brussel sprouts. What a feast for dinner! 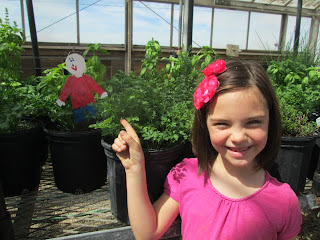 At the end of the field trip, Flat Aggie visited our greenhouse. We have flowers, tomatoes and herbs growing in the greenhouse. I was so happy that Flat Aggie was able to spend a day with us. 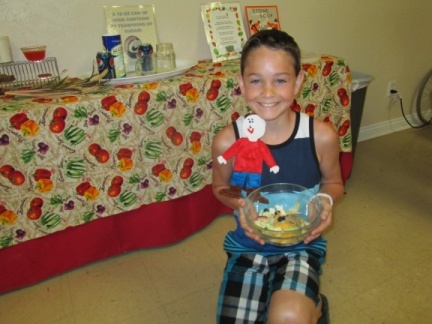 After his visit with us, he was taken to Imperial County Farm Bureau and they will choose where he will go next. 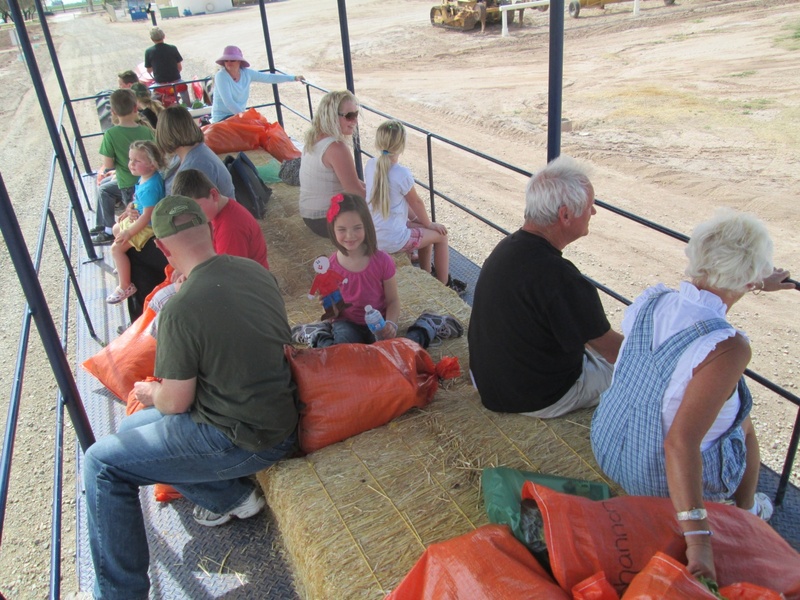 Remember…”Nutrition Starts on the Farm”. If you are ever in El Centro, California, come visit the University of California Desert Research and Extension Center. Note from Sarah: This is the cutest little girl!! What a great adventure! Flat Aggie Goes to London! Bye Bye Spring Break and Hello Flat Aggie Twin!